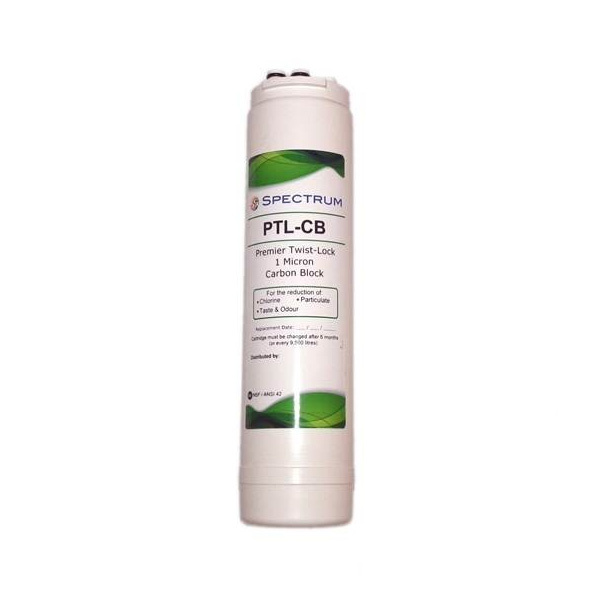 The Spectrum Twist-Lock POU Carbon Block Cartridge is an ultra-efficient carbon block cartridge and is certified to NSF/ANSI 42 Standard for the reduction of chlorine and provides a highly effective barrier for other water disinfectant by-products. 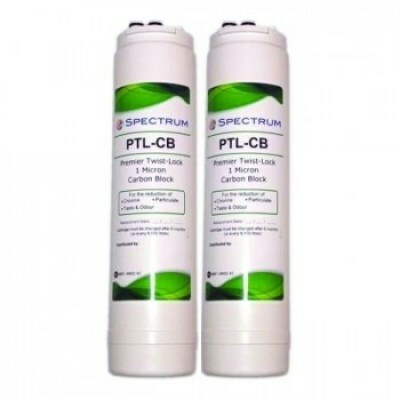 The filter significantly improves the taste and odour and overall clarity of the water. Under normal circumstances it is recommended that this filter be changed every 6 months or 9,500 litres. The Spectrum Twist-Lock POU Carbon Block Cartridge can be changed in seconds with its highly user friendly twist and lock design. No tools, no need to shut off the water, simply turn your old one, put the new one on a twist to lock, easy as that!